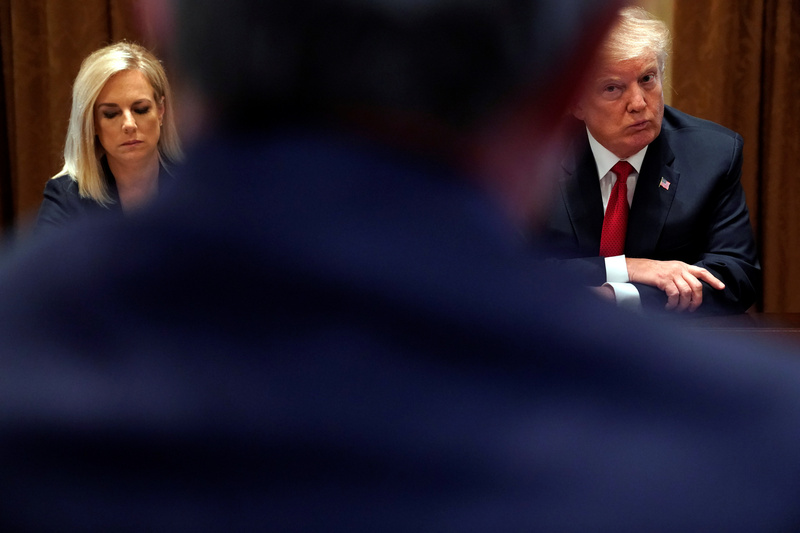 WASHINGTON — President Donald Trump expects to make a decision on the future of his Department of Homeland Security Secretary Kirstjen Nielsen “shortly,” he told The Daily Caller in an exclusive Oval Office interview Wednesday. Reports of Kelly and Nielsen’s possible departures widely circulated Tuesday. Sources familiar with the process told TheDC Tuesday they expect Nielsen to depart the administration in the coming weeks and that replacements were already being actively considered. A source close to Kelly, however, told TheDC that Kelly currently “has no plans to leave” and believes there “are a group of people” undertaking a “concerted effort to oust him.” Kelly is currently attempting to save Nielsen’s job, a protege he believes is being unfairly targeted by the president. Kelly is particularly frustrated because he believes Nielsen is acting to the best of her lawful ability as DHS secretary to execute the president’s immigration vision. Nielsen’s lawful constraints have hampered her ability to aggressively stem the rapid flow of illegal immigrants across the southern U.S. border, which has drawn the president’s ire. A spokesman for Nielsen told The Daily Caller Wednesday she intends to continue to implement Trump’s agenda as secretary. “The Secretary is honored to lead the men and women of DHS and is committed to implementing the President’s security-focused agenda to protect Americans from all threats and will continue to do so,” said DHS press secretary Tyler Houlton.